Black Rocks on Presque Isle in Marquette, MI is one of the areas more enjoyable locations. Not only for its ease of access, but for its immense beauty. The jagged uneven surface is breath taking when first viewed. A few large rocks are scattered throughout this waterfront landscape making for exciting photographic elements (you will see one of these massive rocks in a later post). 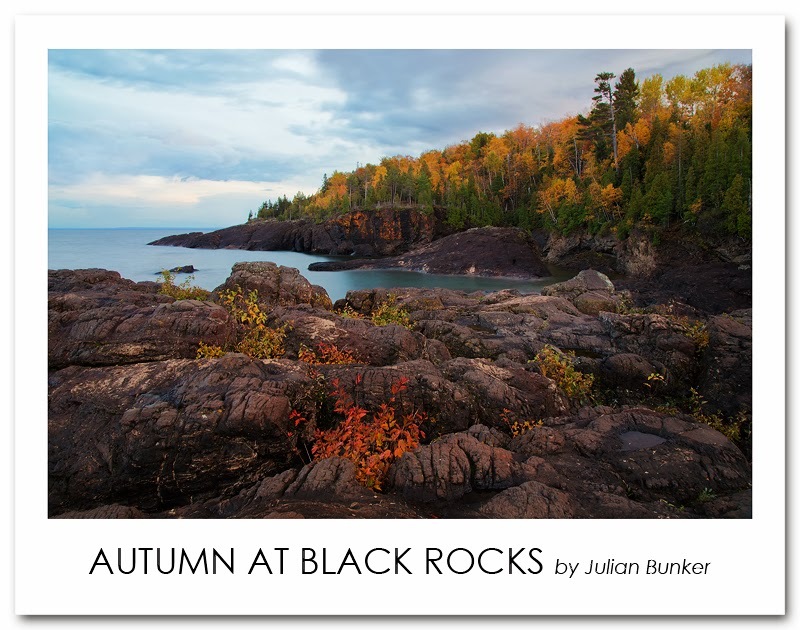 I planned my entire U.P trip around the fall foliage as always, but I never really gave Blacks Rocks a chance in past visits. This time around I found it to be one of the most interesting locations for stark and complex compositions. The idea behind this photograph is to show people how interesting this location is, and to teach people to never disregard an area that they have seen many times before. If I had remained stubborn, I would have missed this photograph. Technical details: Canon 6D, Nikon 14-24 (@18mm), Novoflex Adapter, F/11, ISO 100, blend of two photographs, one for highlights, one for shadows.